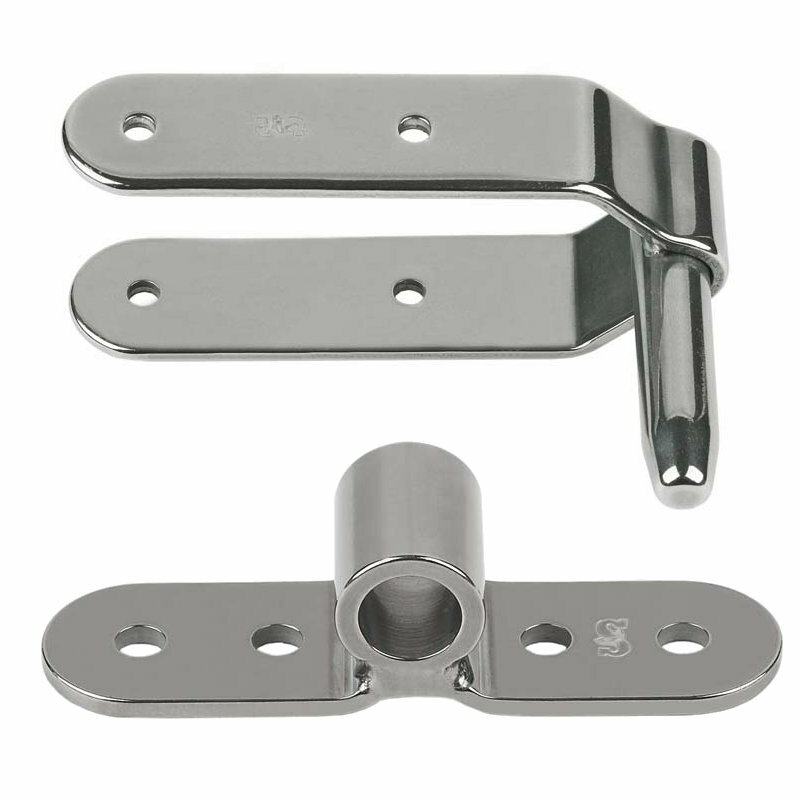 Schaefer welded Stainless Steel Dinghy and Small Keel Boat Pintles come in two lengths allowing for easier rudder installation. 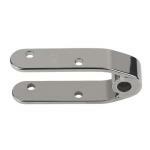 Made from type 304 Stainless Steel, built to handle the loads created by high performance boats. Schaefer's Medium-Duty Pintles and Gudgeon components are most familiar as ”J/24 type” with separate pins and welded pintle straps contained between an upper and lower gudgeon strap. 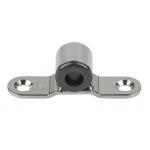 This high strength, easily removed design is excellent for trailerable boats. Boat Size Up to 20' (6.1 m) Pin Dia. 1/2" (13 mm), Strap Thick. 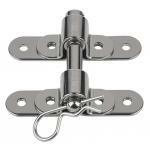 1/8" (3 mm), Strap Length 3-3/4" (95..
Boat Size Up to 20' (6.1 m) Pin Dia. 1/2" (13 mm), Strap Thick. 1/8" (3 mm), Strap Length 3 9/16" (9..
Up to 17' (5.2 m ), Strap Thickness 1/16" (1 mm), Strap Length 3-1/2" (88 mm), Strap Width 1/2" (13 ..
Boat Size Up to 25' (7.6 m), Rudder Width 1-1/2" (38 mm), Pin Dia. 1/2" (13 mm), ---, Strap Thick. 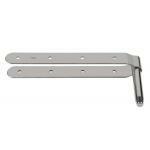 3..
Boat Size Up to 25' (7.6 m), Rudder Width 1/2" (13 mm), Pin Dia. 1/2" (13 mm), Strap Thick. 3/16" (5..
J/24 Style Pin with Clip. High Stength Stainless Steel. 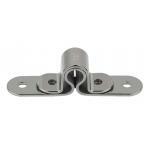 Works with J/24 style pintle/gudgeon..
Boat Size Up to 25' (7.6 m), Pin Dia. 1/2" (13 mm), Strap Thick. 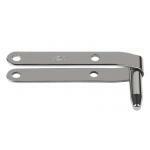 1/8" (3 mm), Strap Lenght 4-1/4" (1..
Includes 81-46 and 81-49 J/24 Assembly. 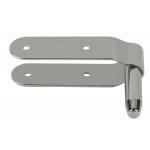 High Stength Stainless Steel..
Boat Size Up to 20' (6.1 m), Rudder Width 1-1/2" (38 mm), Pin Dia. 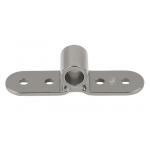 1/2" (13 mm), Pin Length 2-3/4" (..
Boat Size Up to 20' (6.1 m), Rudder Width 1" (25 mm), Pin Dia. 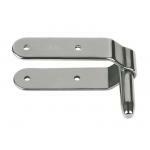 1/2" (13 mm), Pin Length 2-3/4" (70 m..
Up to 17' (5.2 m ), Rudder Width 1/2" (13 mm), Pin Dia 5/16" (8 mm), Pin Length 1-1/2" (38 mm), Stra..
Up to 17' (5.2 m ), Rudder Width 3/4" (19 mm), Pin Diameter 5/16" (8 mm), Pin Length 1-1/2" (38 mm),..
Boat Size Up to 20' (6.1 m), Rudder Width 1-1/2" (38 mm), Pin Dia. 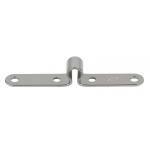 1/2" (13 mm), Pin Length 1-3/4" (..
Boat Size Up to 20' (6.1 m), Rudder Width 1" (25 mm), Pin Dia. 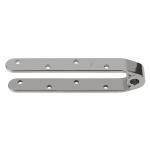 1/2" (13 mm), Pin Length 1-3/4" (44 m..
Up to 17' (5.2 m ), Rudder Width 1/2" (13 mm), Pin Dia 5/16" (8 mm), Pin Length 1-1/4" (32 mm), Stra..
Up to 17' (5.2 m ), Rudder Width 3/4" (19 mm), Pin Diameter 5/16" (8 mm), Pin Length 1-1/4" (32 mm),..